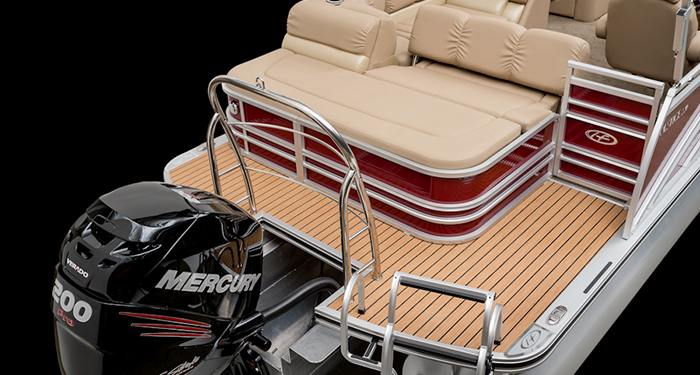 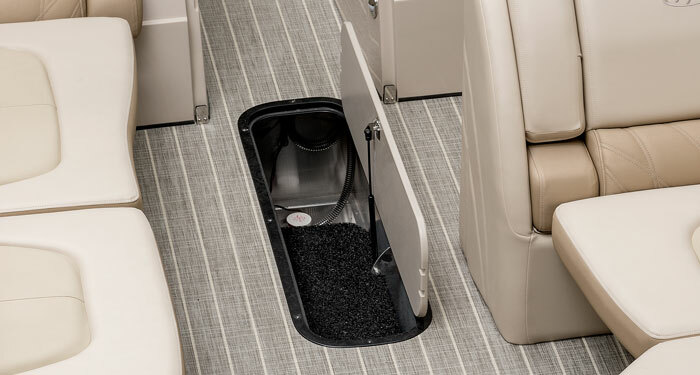 The discerning boat buyer desires thick foam choices for personalising a luxury pontoon to suit a unique, active lifestyle. 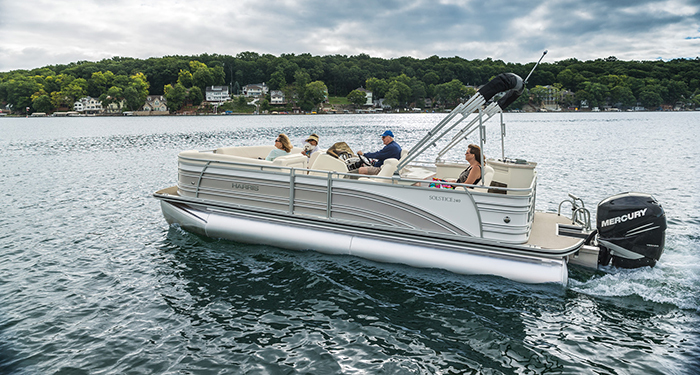 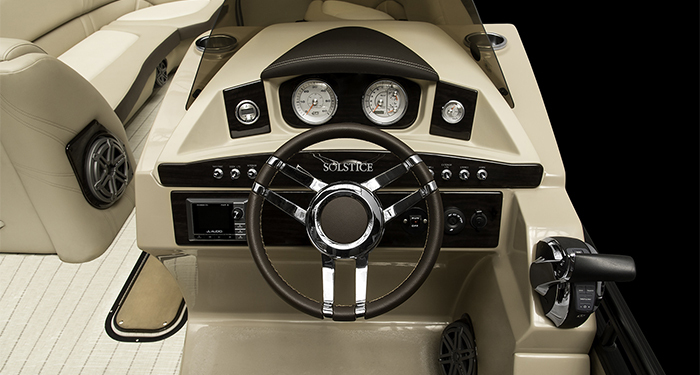 The Solstice 240 was created for that buyer. 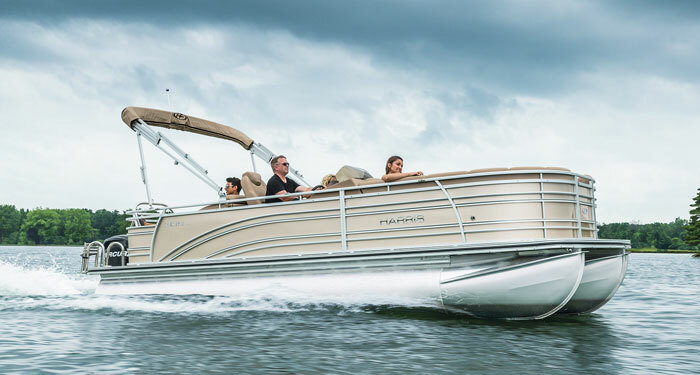 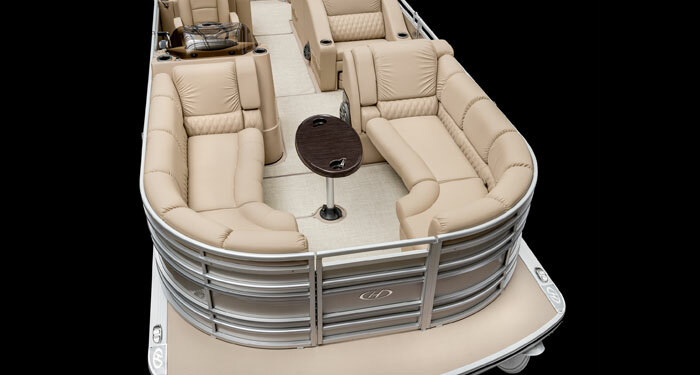 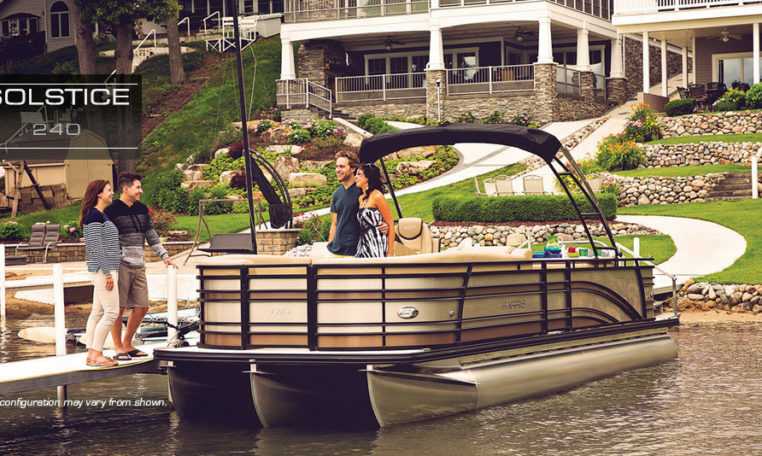 Its distinctive floor plans, including a bow seating option to accommodate up to 15 people, are perfect for social gatherings on the water or dockside. 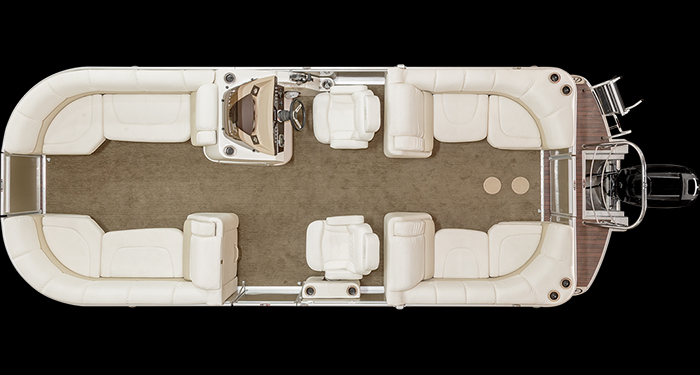 The Cruise floorplan features a bow walk-through with swim platform access located aft to starboard, two bow lounges and L-shaped aft lounge. 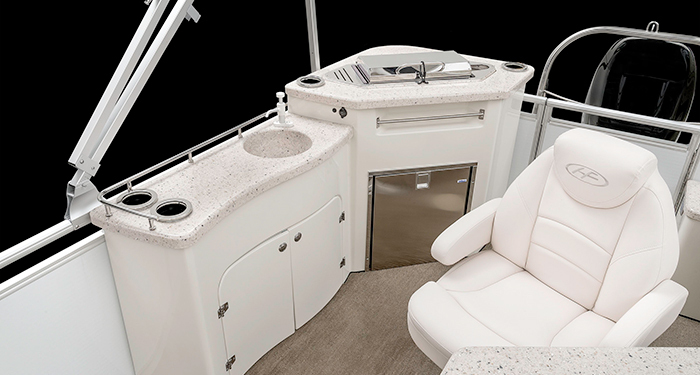 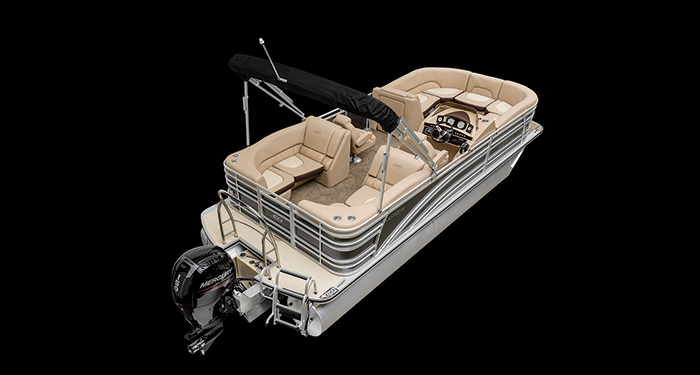 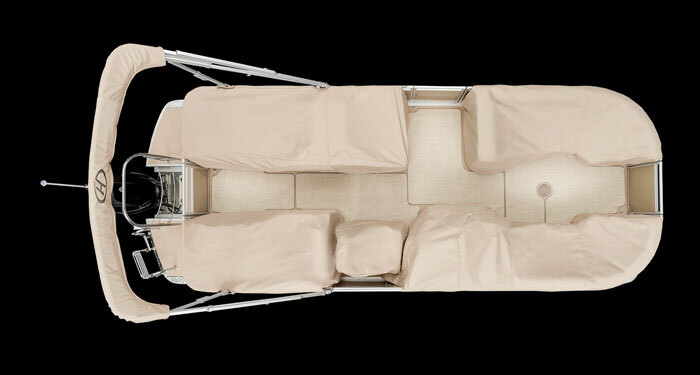 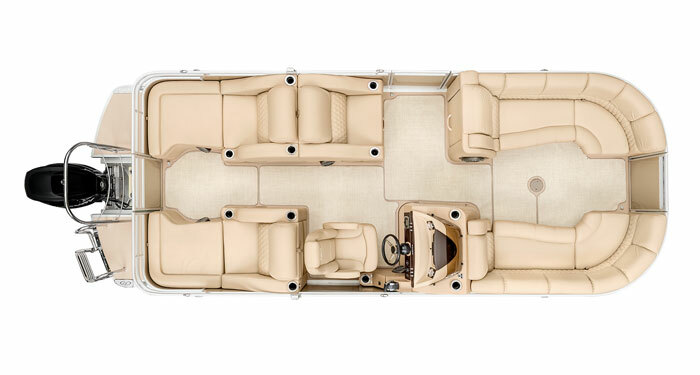 The CW floor plan has a centre walk-through configuration, providing access to the bow and stern decks, and seating converts easily into luxurious U-shaped lounges with the addition of a jump seat. 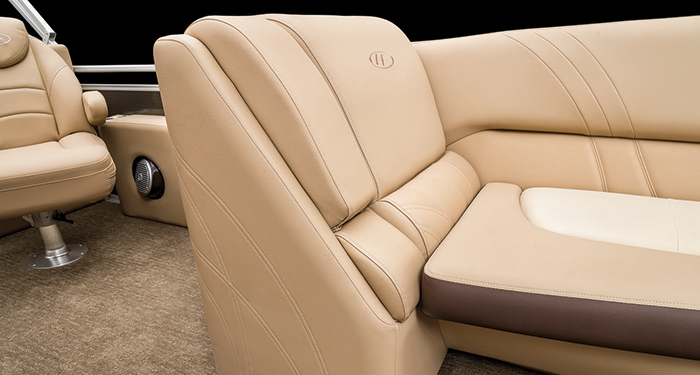 The SL floor plan provides a single rear lounge with reversible backrest. 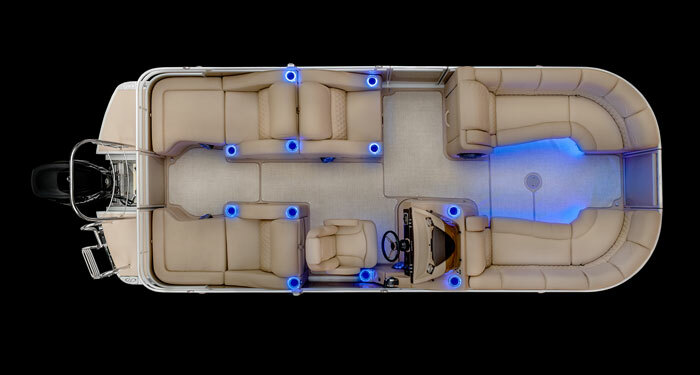 The EGDH floor plan boasts a well-appointed entertainment galley for preparing snacks, meals and refreshments. 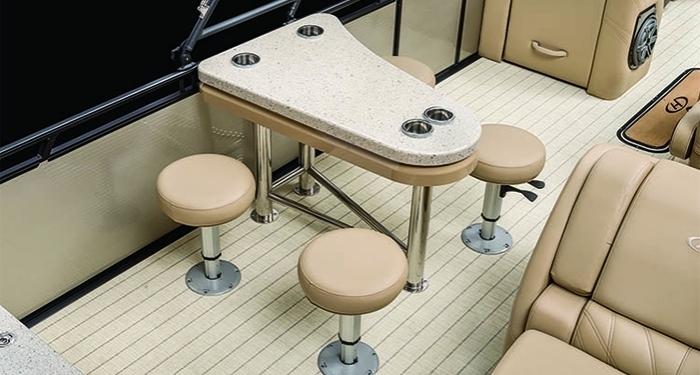 Add to that our exquisite appointments, such as thick foam seating, soft vinyl and flooring options that include grey seagrass, teak vinyl, faux teak and woven shadow diamonds flooring, and you’ll have the ideal venue for making priceless memories with loved ones.